This is part of a new series of videos that we will offer for your comparison purposes. These are recorded with a Earthworks QTC-40. It is known for it’s flat frequency response and for being accurate and uncolored. It is brought to level with an Earthworks ZDT preamp that is also known for it’s exceptional transparency. It is then recorded through a Apogee interface with the gain on 0. Absolutely no added compression or any adjustment to the audio after recording. The Pono line is an excellent option for customers wanting a pro level instrument under a grand. But then the even harder question is… which model? How do the different woods differ in sound? So what did you think? How would you describe the differences? Which one did you like best? Also, for this new series of sound sample comparisons, what brands and models would you like to hear played next to each other? I loved the way you have presented this selection of ukes. It appears very fair and unbiased and was very impressive. I do not think my next comment will engender many hugs but honestly, I couldn’t tell the difference between them. I listened with eyes closed and could not hear when they changed. Sorry but that’s the truth. 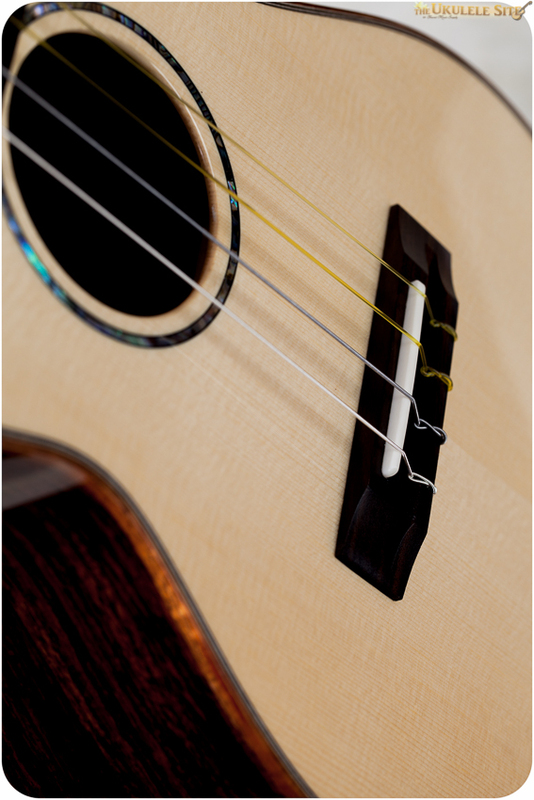 Maybe it shows the quality of Pono ukes and that the quality is spread across the range. Anyway, that’s my view for what it’s worth. I bought a Pono acacia tenor AT 2 months ago. These comparison tests are a testament to the high quality across the entire Pono lineup. They all sounded excellent, with only slight differences in tonal EQ. It is interesting that there was no uke clearly superior–all just slightly different. Pono continues to impress…. They all sounded great, but I thought the spruce seemed like there was a little less midrange. What strings are being used? It looks like there’s a wound C.
Wow! Brilliant presentation. Took me 4-5 close listenings to start to hear the differences. My favorites are the Acacias and the Mahogany. They sound more “traditional” to me. The others give me too much treble. Acacia sounds bright. Mahogany sounds rich. At least that’s how it is to my ears. Comes at the right time. Acacia or Mahogany has been the question I’ve been asking myself all week and I have a birthday coming up. You know what that means. They are all pono. I will cast a vote for the cedar/rosewood combination. I think it has a great balance of bass and treble and all mellow. I have a great older Pono mahogany cutaway that has a similar “roundness” of tones. This is really tough! I thought the spruce and rosewood sounded a little “thin”, whereas the cedar/rosewood warmed up a bit. Perhaps the acacia and mahog sounded a slight bit “cleaner” (than the cedar/rosewood). But, really, any differences are (to my ears) extremely subtle, and I’d be hard pressed to pick a clear winner. The acacia ukes certainly have more eye appeal to me. I suspect you have to hear them live to really hear any differences. How about a comparison between a Pono Pro Classic and a big “K” tenor? this is going to sound terrible but I couldn’t hear a definable difference in them. I used my ears to hear them only and could not tell when an instrument was changed. Maybe that’s Pono’s building skill. I guess I would have to use my eyes to make the final decision. I would like to have heard more of the Mahogany. It was only shown toward the end once while all the others were shown many times. Is there a reason you did not highlight it as well as the others? camera turned off for first half accidentally on that take. I’m chewing off my fingernails waiting for my first-ever ukulele to arrive today from HMS a couple of hours from now, but in the meantime. Thanks for the comparison. Hope they keep coming. Well, to be fair to Pono I think I might have a favourite. This time I watched with my eyes wide open and took in all the ‘visual woods’. I would like to know what make the microphone is and would also love to play them to really feel them. I will throw in my hat and say I like the “Acacia Pono ATC/PC Pro Classic”. Nevertheless I would still like to hear it played against my Marcie Marxer 2013 Kala Limited Edition Tenor, my Lanikai LFM-T Tenor or my KoAloah Super Concert. Hey, alright these are pricey models BUT I also have a uke that my wife brought home from the ChildCare Centre she runs. It is a real cheap Barclay New Style No. 1 soprano but although cheap, grotty and been through the sand pit a few times it has the sweetest sound you could imagine – real island sound. And I would stack it up against the Pono or any other – so there! I like the Spruce top and The Acacia best. The spruce top has great clarity and would I suspect be great for classical music. The Acacia Pono Pro Classic sounds great too and I would prefer it for its overall warmth and its great tones. I would pick this one to buy. extremely helpful for those of us leery about buying before personally playing. very interesting to hear how differently each model responds when picked or strummed. the acacia’s generally sound more 3D to me… chime y. the mahogany, quite similar tho a bit “warmer”. the others were nicely balanced with a bit less sustain – 2D-ish … great for ensemble playing i bet. would love to hear some koa comparisons. and / or concert size comparisons. Thanks for this comparison. Subtle differences for sure. Pono is at the top of my list for my first solid wood uke. This will help when I’m ready to buy. I wish I could be there to better feel the differences. Nevertheless, all of them sounding great to me, my choice would be the acacia Pro Classic: not only the looks are gorgeous, but the tone is warm without losing crispness, and at times develops a mild “humming” that blows my mind away. Just as I suspected the build is going to create much of the sound quality among all Pono ukes. Next I would guess string selection and then tonewood. But I love the Pono sound and playability so I’m going to pick up a second one. The best one here for me was the hog. A beautifully balanced sound to my ear and warm which is what I like and fits well with the music I like to play. I only wish I could have heard the MTSH-PC because I’m trying to choose between it and the MTDX. I like the spare/clean looks of the MTDX best and if the sound is basically the same all I’d be giving up is the radiused fretboard which I find nice to play on. Difficult decision. Like the way the website is looking. I remember you listing all of the mic/recording techniques for your videos before, but can’t find that info. I want to record some ukulele this weekend and wanted to know your thoughts on mic placement. Nevermind. I guess I should have rad the first paragraph at the top of this page! Duh! Anyway, re: mic placement, I can see in the videos, but are there any specific “rules” to getting the most natural? A lot of it has to do with the room you’re in and what you are able to afford. Having a “true” sound is much harder than a colored one. Using mics and a mic pre known for their transparent tone is a start. I now use an AD converter for better digital to analog conversion. I never use compression with sound samples which means bouncing down uncompressed. (There is always some compression when uploading online) The only other factor is hoping you guys listen on a “true” playback source. What I am doing is to hear tone though. If it wasn’t I would use post production techniques. When recording music for yourself, just get something descent and then focus on the quality of your instrument and playing technique. That’s what will matter.